For the first time since the July race at Daytona (Fla.) International Speedway, Kevin Harvick will get behind the wheel of the No. 4 Jimmy John’s Ford Fusion for Stewart-Haas Racing (SHR) as the Monster Energy NASCAR Cup Series heads to Bristol (Tenn.) Motor Speedway for “America’s Night Race” this weekend. Harvick heads to Bristol with his head held high as he leads the series with seven points-paying wins and 40 playoff points. The Bakersfield, California native remains second in the NASCAR Cup Series point standings with 924 points, trailing leader Kyle Busch by 62 points with three races remaining in the 26-race regular season. 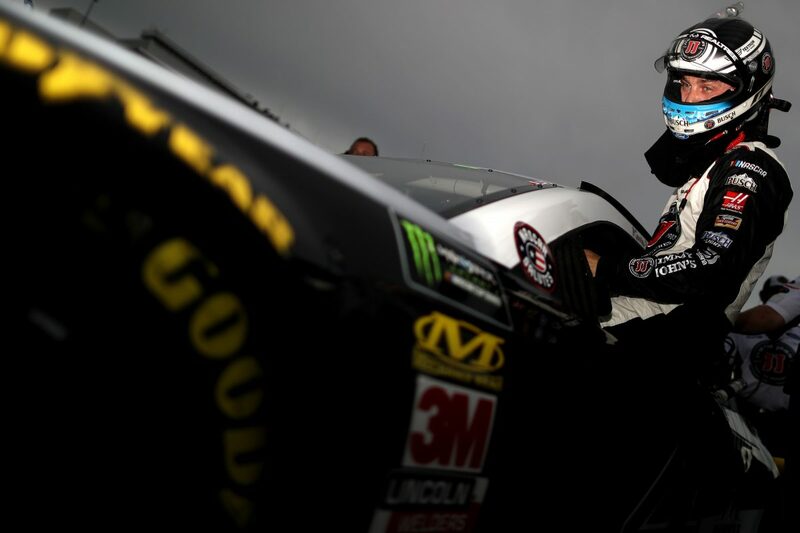 In addition, with his 44th career Cup Series win Sunday at Michigan International Speedway in Brooklyn, Harvick became the first driver since Busch in 2008 to win seven of the first 23 races in a season. It also moved him into a tie with Bill Elliott for 17th on the all-time NASCAR Cup Series win list. With the end of the regular season in sight, each race is an opportunity to kick it up a notch. Harvick and the No. 4 Jimmy John’s team have been the freaks of the Cup Series field in 2018. They are putting up freaky numbers with a series-best 1,190 laps led, 17 top-five finishes and 19 top-10s. Harvick has some impressive statistics on Bristol’s high banks, having led 876 laps at the short track while earning two wins, 12 top-five finishes and 18 top-10s in 35 starts. In his nine starts at Bristol for SHR, he has accumulated six top-10 finishes, including one victory. While the No. 4 team’s stats are impressive, it’s only looking for one thing this weekend – to get its Freaky Fast Ford back to victory lane at Bristol. How is the intensity at Bristol different in the fall with only a three races remaining in the regular season? What makes Bristol a place that people love for the drama and the racing under the lights?